Notes: Just in the nick of time for Halloween, I'm getting into a horror novel. This particular author comes highly praised from other horror writers, including Stephen King and Ty Schwamberger, so I'm excited to finally get an opportunity to check out this author. 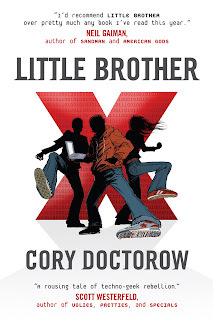 Mini review: Reminded me a lot of Dean Koontz, especially the plotting. 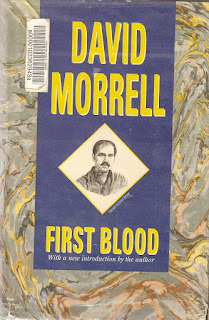 The overall writing was a bit more literary than Koontz, and the characters more personable. 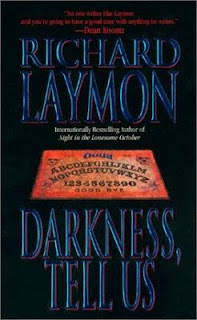 However, this is just the first Laymon book I've read, so I'll have to check out more to get a better feel for his style. Will I read more? Sure. This book was a lot of fun and tense, though the real action didn't kick in until the last 30 pages. Then things got quite grizzly. It's a sad, sad week. After years of service, Yahoo has killed Geocities where I had my old Web page for the last 12 years, including my pages about beer. But all is not lost. My beer rankings have been saved and I have something special planned for them. Expect an announcement in coming weeks! 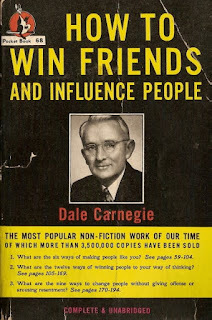 Notes: My dad has been a fan of public speaking guru Dale Carnegie for decades, specifically this book, so I thought I would give it a try, especially since this is a motivational book of sorts. This non-fiction book was originally published back in the 1930s, but still has some following even today. My guess is it will be a bit outdated, but hopefully it'll still be an interesting read. Mini review: The basic gist of this book is, "follow the Golden Rule." That's oversimplifying to some extent, but not too far off the mark. The writing style was dated, but not to the point of annoyance. The main ideas focused mostly on business relations, but there were also some chapters on marital relations, friendships, etc. Not a bad little book. Too bad not many people today seem to follow the advice given. 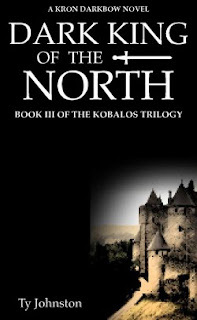 Dark King of the North: Book III of the Kobalos trilogy is now available in ebook form online and for the Apple Kindle. Check it out at Amazon, Smashwords and Scribd. Two of my more literary stories are now available over at Authspot. The stories are Lesson of the Samurai and Kings of 772. Notes: This is another of those literary authors I've been meaning to try for years. The subject matter of this particular novel sounded of interest to me as it's about a man who is arrested and put on trial but no one will tell him what charges he faces. Mini review: It's a shame the author died before this novel could be finished, because this could have been a major literary classic. As is, it's still a classic (as is the author), though it remains unfinished (though there is an ending ... it' just much of the middle is missing or only in part). I liked this book, though I don't believe I'd call it a favorite. Yes, this is actually from a Broadway musical. It's called "Avenue Q," sort of a Sesame Street for adults. Notes: I consider myself pretty well read in classical literature, though admittedly it's been years since I've dipped into any of the ancient literature or histories. Here I'm checking out Aristophanes, a Greek comic playwrite who lived about 2,500 years ago. Aristophanes has come highly regarded to me from a friends, specifically the play "Frogs." Besides entertainment, I also often read for educational purposes; hopefully this will be a little of both. Mini review: Another book I'm glad to have read but also glad to have finished. Seems I've been reading a lot of those this year. Of the 11 plays here, "Frogs" was by far the funniest and my favorite, with "Birds" being the next best. While only one editor on this book, there were four or five translators, some of whom were quite good but others that were lacking. Glad I read it. There was some funny stuff here. And it was interesting to be reminded of how modern the ancient Greeks really were. Notes: Stop laughing. Please, stop laughing. Yes, I'm reading a Harlequin romance novel, but at least it's one of their Silhouette Nocturne novels, which means it's a speculative romance novel, usually involving horror and/or fantasy elements. This is the first Harlequin I've ever read. Will it be the last? Probably, but who knows? I'm mainly reading this one for experimental reasons, to expand my writing and reading experience a bit, but I've also heard from women friends that Pamela Palmer is a good writer. Here goes. Mini review: Actually, this was a pretty good book, the writing style reminding me of Dean Koontz from about 20 years ago (before he'd gotten boring and predictable). Of course, there were a few love scenes and such that felt a little juvenile to me, bu then I'm a guy and this is the first Harlequin romance I've ever read. Will I read another? I won't be jumping to do it, but this particular novel was the second book of a trilogy, so I might want to seek out the other two books. 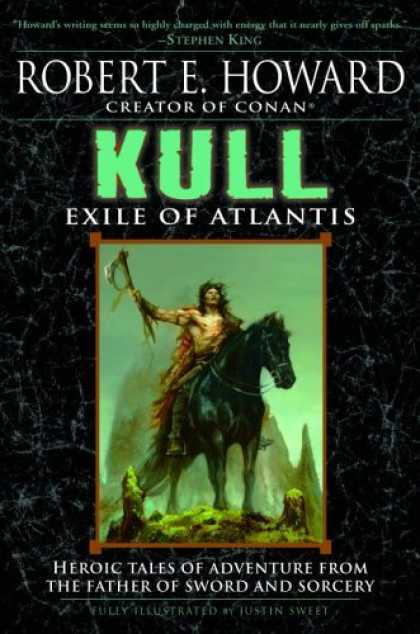 Notes: I'm in the mood for some Sword and Sorcery, so this book by the noted horror/fantasy author Karl Edward Wagner is a natural. This is the first novel of his I've read, though I've been familiar with his short stories for years. Mini review: Fantastic! Awesome! Not perfect by any many, but the best Sword and Sorcery novel I've read in a long while. The biggest problem was the editing job was just atrocious, but the writing was fun and dark in that 70s slightly unbelivable and comic-bookish sword and sorcery kind of way. I liked this novel even better than Wagner's short stories, so I'll have to search out some more. Notes: Thought I'd get back into a little Executioner action. Man, I've been reading plenty of pulp fiction of late, and that's what I consider The Executioner series, modern pulp fiction. In this one, Mack Bolan is on the trail of illegal arms dealers. Mini review: This one started out a bit disjointed, but eventually the ball got rolling pretty good. Near the end is my favorite action scene in the whole book, but then the very ending felt cheesy to me. Came across this great quote from pulp author Robert E. Howard. It's from a letter he wrote to a friend. "When a nation forgets her skill in war, when her religion becomes a mockery, when the whole nation becomes a nation of money-grabbers, then the wild tribes, the barbarians drive in ... Who will be our invaders? From whence will they come?" Notes: Having earlier this year read a biographical book about pulp writer Robert E. Howard, I was pleased to run across this book recently. I had to pick it up. I'm especially drawn to this one because it looks at Howard's life not only as a writer, but as a Texan and a man of his times. Also, I've not done a lot of non-fiction reading this year and thought it was time I did so. 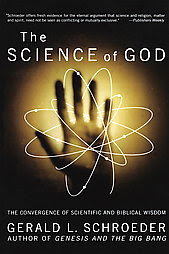 Mini review: A truly fascinating and fantastic book. 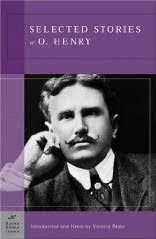 Fans of Robert E. Howard need to read this one, probably moreso than any other book about Howard. This book places Howard into perspective seen quite rarely, but in my opinion, the views of this book's author are more akin to the truth about Howard, his writing, his life and even his death than any show elsewhere. 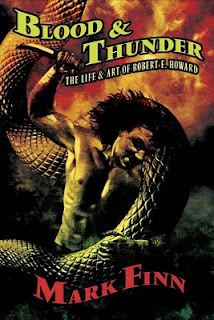 If all you know of Howard's writing is Conan and Howard's other sword and sorcery tales, you're missing out on a lot. Notes: I've still got some more Executioner books to read, but I don't want to get burnt out on them, so I thought I'd take a little break and turn to another pulpy favorite, Ed McBain. Besides, it's been more than a few months since I read any of McBain's 87th Precinct novels. This is one of the early novels in the series, from 1965. Mini review: Another fun, quick read from McBain with lots of detective leg work and a little gun action. It was nice to have a read over with that fast. My flash fiction story "Zombie Tears" is now available online from the fine folks at Dark Fire Fiction where it is the feature story for issue 41. It's one of my favorite flash pieces I've written, but keep in mind this is a zombie story so there's some gore. 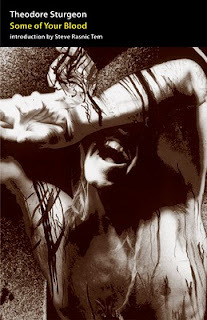 "Zombie Tears" was originally published a couple of years ago over at Tales of World War Z. Notes: After recent action-oriented readings, I thought I'd stick with it a little more. Plus, it's been a while since I've read many of The Executioner books, so I'm having fun delving back into the depths of Mack Bolan and his Endless War against the worst of humanity. As an added bonus, this one is written by my online writing bud Nathan Meyer. This is the first of his Bolan books I'll have read, though I've read some of his short stories. Mini Review: What a rollicking ball of action! Seriously, if you like men's action/adventure reading with lots of gunfire, explosions, car chases, etc., then this novel is right for you. Worth checking out. Nathan Meyer did an excellent job. My short story "Everyone is Zombies" is now available over at Demonic Tome. It's not exactly a traditional zombie story, so even if you're not a fan of zombies you still might like it. No brain eating, I promise. 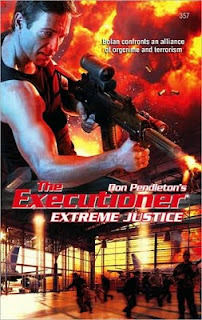 Notes: The Executioner series of men's action/adventure novels has been around for 40 years, originally penned by Don Pendleton. Pendleton passed away a while back, but the series has continued, written by a multitude of writers. I read a ton of these short novels as a teen, and from time to time I go through a spell where I delve back into them again. The series' overall plot concerns one Mack Bolan, a former U.S. soldier who fought in Vietnam. Mack returns home to find out his family has been killed because of the mafia, and he decides to go to war against the mob. After years of that, Mack turned his attentions to fighting terrorism and other evils throughout the world. This particular novel has Mack looking for a prosecution's witness in a trial against the mob in hopes of bringing the witness to trial before the mafia can kill the guy. 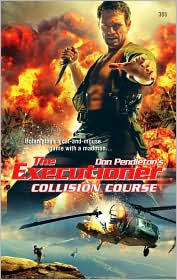 I'm reading this one for fun, but also for a little research; I find the Executioner novels usually show how to write action scenes really well. Mini review: The action started well and ended very strong, but the middle was pretty slow. It was nice to get back to reading some Mack Bolan again. I'll have to do it soon. Notes: It's with more than a little glee that I get to read this collection of Sword and Sorcery short stories featuring gigantic monsters. I like Sword and Sorcery. I like big monsters. And most importantly, I like the editor, who I've had the pleasure to work with on a few occassions, including when he published my story "Deep in the Land of the Ice and Snow" in the Return of the Sword anthology last year. Another nice thing about short story collections is I don't feel the need to read the whole thing all at once; I can read a story or two, then go read a novel or something else, then get back to the collection. Also, I'm familiar with the works of a good number of the writers in this anthology. So, what's there not to like? Mini review: Fans of sword-slinging action need to read this, especially if they're also fans of big monsters. There are all different kinds of beasties to be found in these 21 tales. 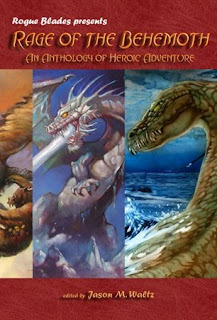 Of the stories here, three were my favorites, "Beyond the Reach of his Gods" by Brian Ruckley, "The Rotten Bones Rattle" by C. L. Werner and "Nothing Left of the Man" by Jeff Stewart. But those were just my favorite three. 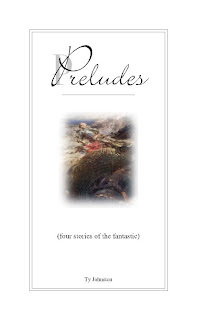 There are plenty of other tales of all kinds here, and each is great in its own way. Writers like to read. Or, if they don't, they should. I mean, it's their bread and butter. It's what makes them what they are. If they don't like reading, they probably shouldn't be writing. But for the sake of argument, let's say that writers like to read. Or, at least much of the time they do. See, writers don't always get to read for fun. Sometimes writers have to read a book or story or article because they have to review it. Or they have to edit it. Or they are doing another writer friend a favor and are reading something so they can offer their advice about it. And sometimes a writer reads just to see how another writer performs the craft of writing. Which can sound like fun. But often it's not. Even if there's a particular writer who has works you really, really enjoy, sometimes it can become a bit numbing pouring over their material. Sounds impossible? It's not. What often happens is the reader who also happens to be a writer sometimes becomes caught up in the craft and can't experience writing for the sheer enjoyment factor. Sure, this person would like to sit back and laugh or cry or scream with a book, but they're caught up in how the author puts together his or her scenes, or they're caught up in the fine use of adjectives, or they're caught up in something seemingly simple and silly like how many times an author uses the word "said" on a given page. Or there could be a thousand other things. Also, sometimes a reader can become too familiar with a particular genre. If your really like mysteries and have read a few hundred of them by a variety of different authors, you can probably often see what's coming. This is even worse for the writer who has written a few mystery novels, maybe some short stories, too, and who has also read tons and tons of mystery books. The writing has become all craft for this reader who is also a writer. But there is hope. Sometimes this unfortunate reader can break away and enjoy reading just for reading all over again. My suggestion is to try reading works of an author with whom you've never read, maybe even in a genre of which you're not familiar. 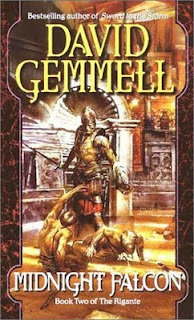 If you read mysteries all the time, try out a fantasy novel or two. If you read romance novels a lot, pick up a few thrillers. If you do this, you can find yourself pleasantly surprised. You will find new ways to tell your own tales, and you could find yourself enjoying your writing and reading more than you have in years. The adventures of Kron Darkbow continue! 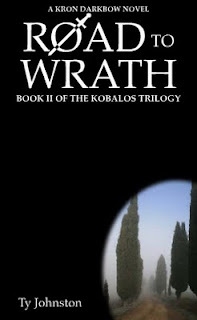 Road to Wrath, Book II of the Kobalos trilogy of epic fantasy, is now available in two places online and the price is only $1. The Road to Wrath ebook is available at the above link in multiple formats. Just pick which one you want, then read it on screen or download it. 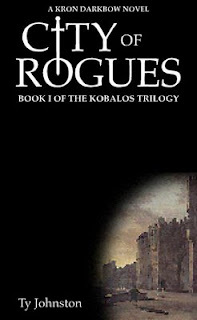 Of course you can still find City of Rogues, Book I of the Kobalos Trilogy, on Smashwords, too. If you own a Kindle, you can download Road to Wrath directly from Amazon. Of course you can also find City of Rogues, Book I of the Kobalos Trilogy, for the Kindle as well. Another movie I really, really can't wait to see. Zombieland mature audiences trailer -- you've been warned! Just because I am so stoked to see this movie. Notes: This is a book, and an author, that's drawn tons of attention the last few years in science fiction literary circles. Thought it was time I checked out the book and the writer. Mini review: I think my expectations were too high for this book. It was a decent book, but I felt like I was supposed to become caught up in some kind of anti-government, rebellious attitude. At for the most part, I wasn't. But the mantra of the young characters in the book is "Never trust anyone over 25." And I'm quite a bit past 25. So maybe I just didn't get it. Still, this was an okay read, but not a great read, in my opinion. To me, it felt as if the messages in this novel hit a little too hard. But maybe I would have felt differently a few years ago when this book would have seemed a little more relevant (not that it's not relevant today).